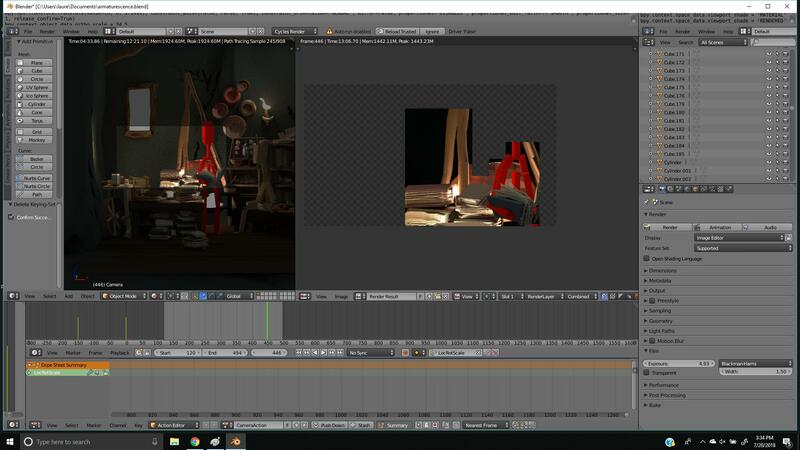 could anyone give some advice as to why my cycles rendered image is way darker than my render preview? It seems that the light refuses to shine on the walls of the little house I constructed in the final render, but it shines on the other objects in the image. Thankyou for reading + your help! Shadows blurring as they progress?